Home » Service Manual Catalog » EPSON Service Manuals » InkJet Printers » SM_XP15000 I have paid for Reset Key but not received yet. Epson XP-15000, XP-15010, XP-15080 printers Service Manual New! This Epson XP-15000, XP-15010, XP-15080 Service Manual describes basic functions, theory of electrical and mechanical operations, maintenance and repair procedures of the printer. Describes refurbishing work of the product and its purpose. It is good to have website like this! 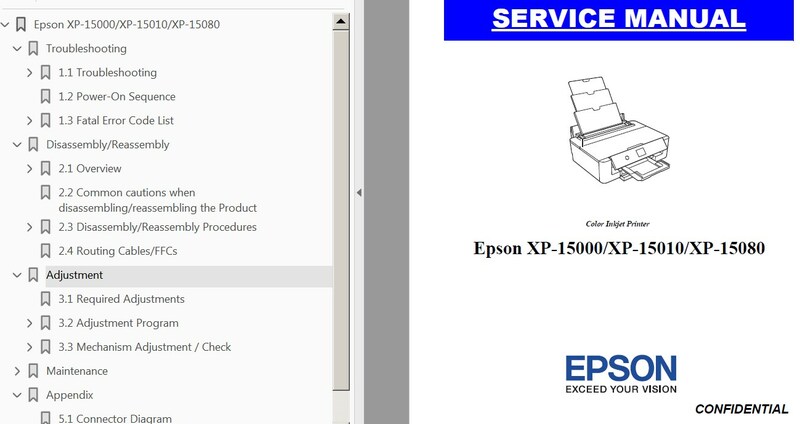 Notify me of updates to Epson XP-15000, XP-15010, XP-15080 printers Service Manual New!